On top – cute pop-up ‘Once Upon a Rhinoceros’ bookmark found in Melbourne bookstore The Younger Sun! Favourite recent reads include my fortuitous footpath find, a (lost? abandoned? manifested!?) 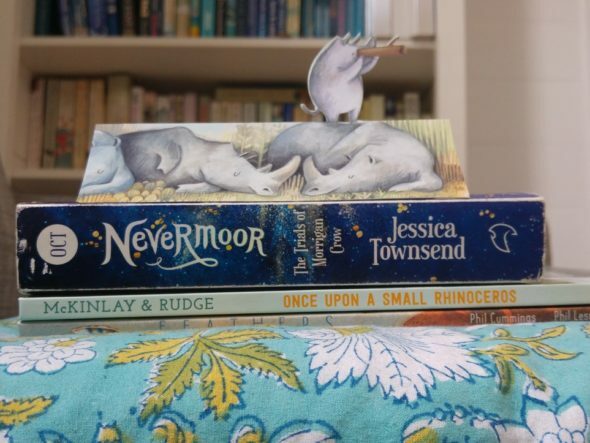 review copy of Nevermoor by hype-worthy debut author Jessica Townsend. I tore through this middle grade fantasy, with its enchanting world and characters reminiscent of children’s classics, from shades of Willy Wonka in the eccentric Jupiter North, to a giant cat with an Alice in Wonderland feel. Despite these perhaps subliminal influences, Nevermoor still feels totally unique and fresh. I fell in love with the shape-shifting wonders of the Hotel Deucalion, and the plucky protagonist Morrigan Crow, a cursed girl doomed to die until she’s whisked away to Nevermoor, with a chance to join an exclusive society if she passes a series of trials. It’s a magical ride, with everything from suspense to wry humour, and the writing is simply amazing. In adult fiction, I’ve read and recommend Bridget Crack by Rachel Leary and The Gulf by Anna Spargo-Ryan. 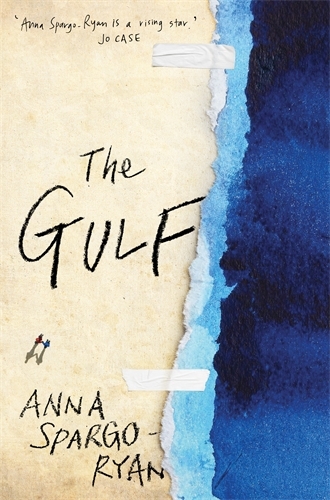 The Gulf is a raw, realistic story about fractured families, domestic violence and survival. Teenage Skye will do anything to protect little brother Ben from their situation (think a bleak town, their mum’s loser/dealer boyfriend, constant threat) resulting in a desperate need for cash and escape. It’s a riveting read, and so well crafted – heartbreaking and hopeful. 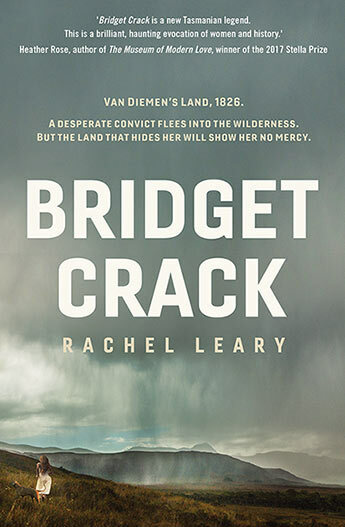 Bridget Crack is historical fiction set in 1800s Hobart, about a convict servant who finds herself caught up with a bushranger group on the run. A key descriptor here could be ‘harsh’, from the treatment of convict women stuck in a cycle of servitude and abuse, to the unforgiving Tasmanian bush landscape so vividly depicted. I have a feeling both of these books will fare well in next year’s literary awards. Fingers crossed for Stella Prize nominations! As for picture books, there have been two standouts from the ever-growing, library card-maxing stack. One is Once Upon a Small Rhinoceros by Meg McKinlay and Leila Rudge, about an adventurous little rhino with a yearning to see the world beyond her muddy riverbank home. She’s strong and brave enough to dismiss the others’ negativity and take matters into her own hands. Super inspiring – loved it (and bought it, as it definitely transcends a library lend!). The other is Feathers by Phil Cummings and Phil Lesnie, a beautiful story about a bird that flies across war-torn scenes, fleeing families, and treacherous floods and storms. It loses feathers along the way, offering hope to those who find them. It’s a deep and moving picture book, multi-layered and lyrical. These are two of the most special picture books I’ve come across this year (these two, plus Anna Walker’s Florette). Seventeen-year-old Olive is plagued by a gypsy curse that’s made her invisible to all but her future true love. She has a blind best friend, Felix, a ‘perfect’ sister, Rose, and an estranged childhood friend, Jordan, who just knew that Olive was real, much to the annoyance of her family. Add in AWOL parents, a job writing a gossip column, and a newfound love interest, Tom (who can – gasp – actually see her!) and you have all the ingredients for a fast-paced, emotional rollercoaster ride of a read. The invisibility factor takes all the angst and uncertainty of relationships in the teen years and amplifies them by a billion (at least!). Olive manages to use her invisibility to her advantage on her rocky road to true love (think stealing phones, stalking ex-girlfriends and revenge face slaps – well, wouldn’t you?!) but inevitably, it throws up lots of obstacles too, particularly while out on dates with Tom or having to meet his family. As for whether Tom really is her true love, you’ll have to read the book to find out! 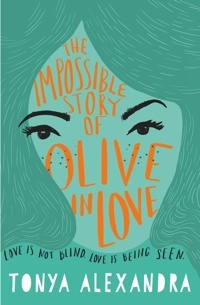 Olive is one of the funniest, feistiest and most adorably flawed protagonists I’ve come across in ages. There were so many moments I laughed out loud while reading this story (often in public, no less). Olive’s sarcasm and full-on personality provide so much scope for hilarious dialogue, altercations, meltdowns and poignant moments that I don’t even care about her sometimes screwed-up logic, I love her anyway! This is a book with that all-elusive ‘voice’ in spades – a voice I first encountered when reading chapters from the second Olive book at the writers’ group I just happen to be in with Tonya (yay!). So after loving the bits I’d seen of book two, it was super exciting to go back to the beginning and find out how Olive’s story began. Book two, please come out soon – sneak peeks aside, I still need to find out what happens next!